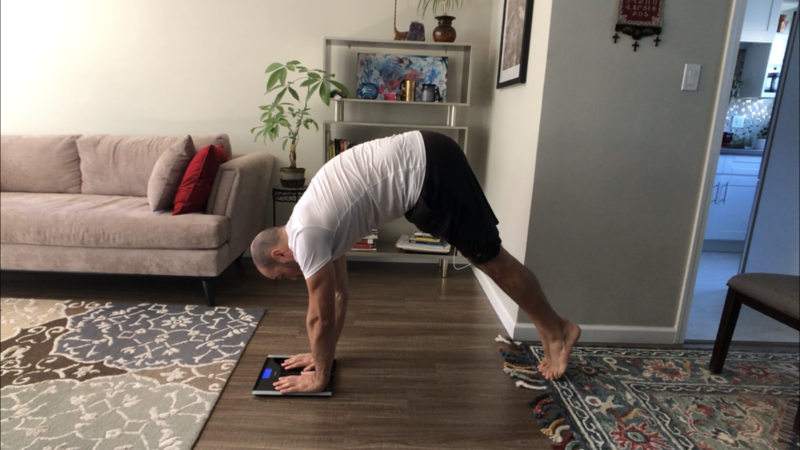 This blog post is all about my nerdy journey of attaining a handstand pushup against a wall! Note: I am not talking about a freestanding HSPU. That requires a solid freestanding handstand which I have not maintained. 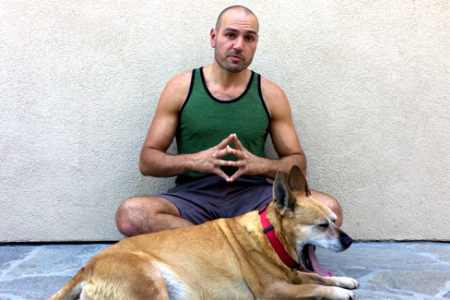 I am only talking about the goal of achieving the strength for a chest-to-wall HSPU. This is one of those moves that I worked on in the past, but have neglected for at least a couple years so I have to build up the strength for it again. And that’s somewhat of a blessing in disguise because I get to do it in a methodical manner and share how I am doing! And will update as I keep going. Pike pushups, with feet elevated or not, require mastery of proper pushups. Proper form is crucial and easily neglected for pike pushups, even more-so than regular pushups. (Even I, a stickler for form, used to do it poorly before as well.) Notice how my lower arm (forearms) and elbows never go backwards or flare outwards during the movement? 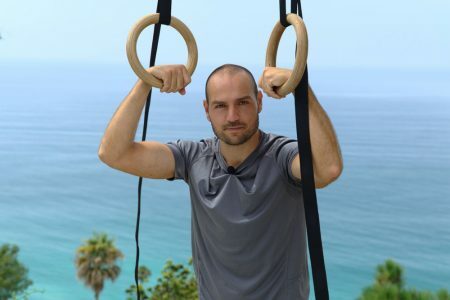 The forearms never go backwards even the slightest bit. The cue is to send the shoulders forward so the head goes well ahead of the hands. And notice how I go until the nose boops the ground. Curious about how far away pike pushups are from HSPU’s in terms of intensity, I got my scale out and put my hands on them in the pike pushup positions to see what my weight would be. As of this time my bodyweight is exactly 180lbs (81.5kg). 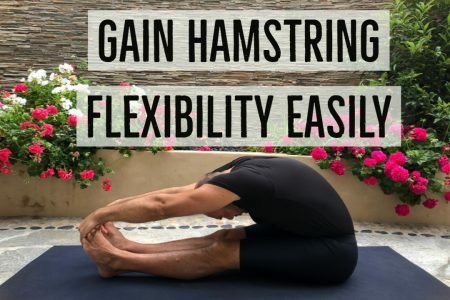 Other interesting observations are that making the distance of the feet and hands further apart by a few inches (in case someone doesn’t have the hamstring flexibility), doesn’t reduce the intensity by more than a few pounds (only 1-2%)! Another notable observation is that raising one leg up doesn’t intensify the movement as much as one would think. It only makes the scale read a few pounds heavier (only 1-2%)! So with this info at hand, we can calculate how many pike pushups one would need to do, to get to one handstand pushup using a 1RM chart. Now that we know that a pike pushup is ~66% of the intensity of a HSPU. And a foot elevated pike pushup is ~77% of the intensity of a HSPU, we can use a 1RM (one-rep max) chart to find out how many reps of these exercises one should be able to do, to get to one HSPU. NSCA’s calculations from their book Essentials of Strength and Conditioning, 4th Edition. 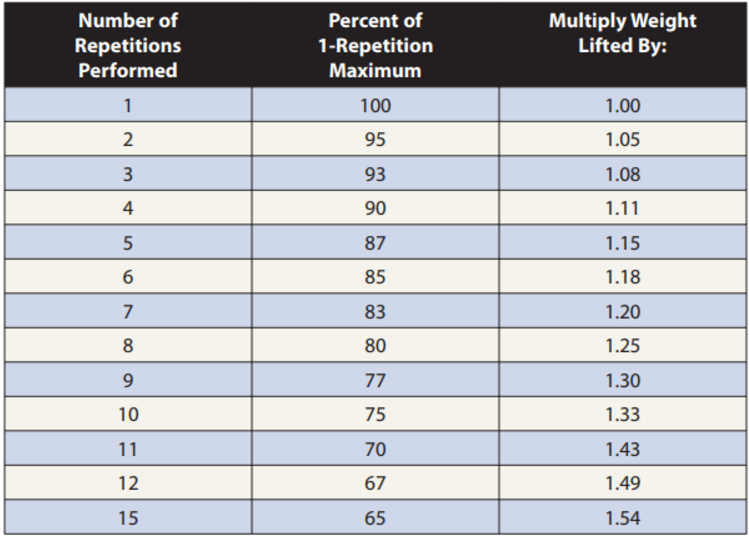 The above chart shows that if you could do a maximum of, say, 9 reps of an exercise (first column), that is around 77% of your 1-rep max (second column). So if you could do 9 reps of an exercise, you probably have the strength to do ONE rep of that same exercise, with 30% more weight or intensity (third column). You could put it the other way around too: If someone could do only 1 HSPU, and a pike pushup is 66% of your 1RM, then that person should be able to do 12-15 pike pushups. And since a foot elevated pike pushup is 77%, maybe around 9 of those. So the question now for me is… if I build myself up to 9 reps of foot elevated pike pushups, will I be able to do one HSPU? Setup: Feet are 18″ high on a chair. And hands are always 36″ away from the feet for consistency. Started at: “4, 3, 2, 1, 1” reps with perfect form. Starting HSPU capability: I can only do a few 10-second controlled negative HSPU’s. Goal: Get to “9, 8, 7, 6, 5” reps and test my HSPU. I’m also training these concurrently with my one arm pullups, which are going swell as well and I will probably give an update part 2 of that blog post before this HSPU program is complete as I’m making great progress there. 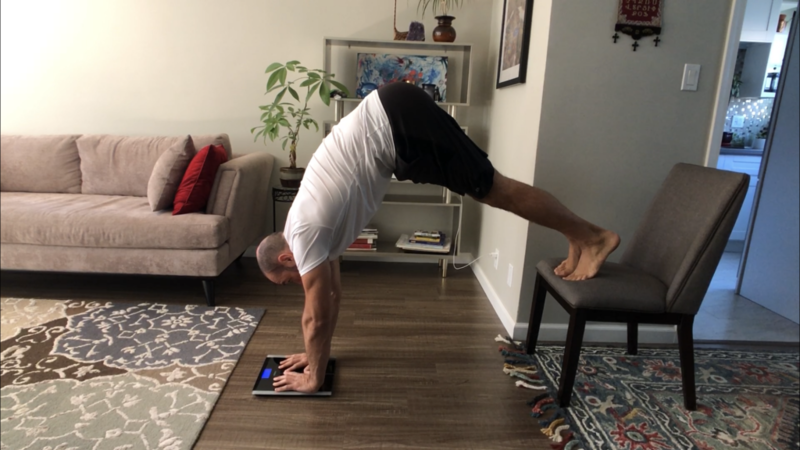 After I get the handstand pushup solid, my goal is to see what it’s going to take to attain the hollowback press, which will require me to work on my handstands in all sorts of ways. Anything wrong with my calculations? What are some pitfalls I may run across, you think?